The Bendix/King KRA-405B radar altimeter modification for AS350 and EC130 consists of the installation of one Radar Altimeter unit KRA-405B, two antennas on the helicopter tail cone and a KNI-416 Radar Altimeter Display on the instrument panel. The radar altimeter system provides to the pilot a precise 0-2000 feet AGL information. Through a rotary knob on the indicator the pilot is able to set a decision height (DH). Visual and aural DH warnings are provided when AGL altitude drops below the preset level. The installation is fully integrated in the helicopter audio warning system (DH output). The KRA-405B Radar Altimeter is EASA ETSO-2C87 approved. The installation make use of original Eurocopter antenna pods. Indicator location on instrument panel layout can be customized on request. 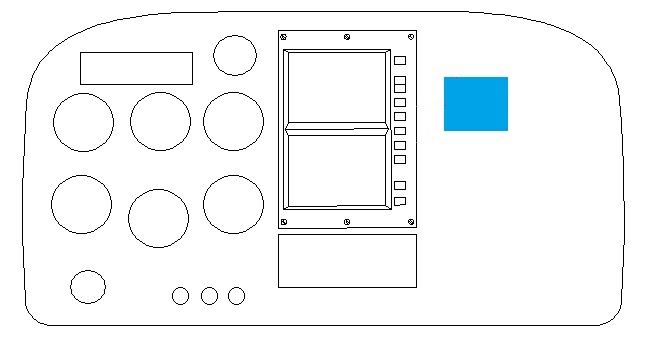 Radar Altimeter Transceiver holder has to be fabricated locally according to drawing provided (for some helicopter model configurations use of Eurocopter brackets is possible). Approval Form, installation instructions, material list, drawings, wiring diagrams, instructions for continued airworthiness. No kit is available for this change. Radar altimeter kits comprehensive of KRA-405B transceiver, KNI-416 indicator, KA-54A antennas are available from Bendix King official dealers; antenna brackets, alarm box are available from Eurocopter. The consumable materials required for the installation can be ordered vendors indicated in the material list.